Four dozen schools and nine school districts were honored today with the National Green Ribbon Schools award from the US Department of Education. Travilah Elementary School (Montgomery County), North Potomac, Md. North Carroll High School (Carroll County), Hampstead, Md. Woodland Primary School (Woodland School District 50), Gages Lake, Ill.
Gov Martin O’Malley of Maryland praised the state’s two honorees, noting that Maryland has made caring for the environment a priority. “Over the last seven years, we’ve worked to build the next generation of environmental stewards to take on the challenges facing our planet,” he said. “That’s why we’ve made the better choice to invest in innovative environmental programs for children — to ensure that we meet our goals for improving the health of the air, land, and water we love while also promoting 21st-century environmental best practices and careers. 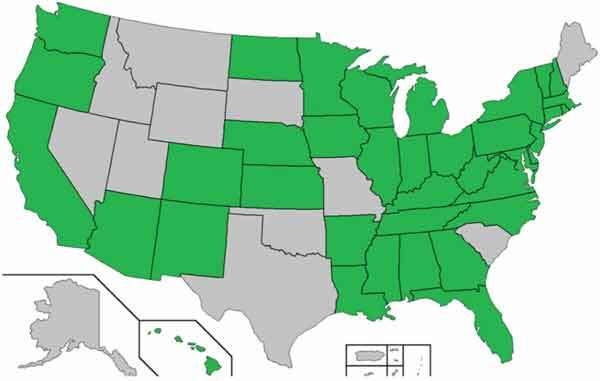 Top states were Wisconsin, which brought in four school Green Ribbons and one district Green Ribbon, and California and Colorado, which each had three schools and one district honored as National Green Ribbon Schools.